In recent work, Bovens and Wille (2010, 2011) state that the Netherlands has turned into a ‘diploma-democracy’. The core of their argument is that the higher educated have come to dominate political processes in the Netherlands. 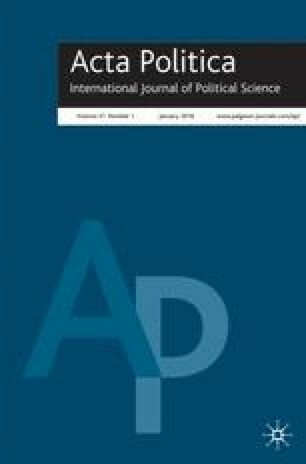 While the effect of education on political and civic participation is well documented, Bovens and Wille make a longitudinal claim, namely that the political gap between education groups has increased over time. Yet, the longitudinal evidence presented to back up their claim is limited. In this article we track the education gap in various political behaviours and attitudes in the Netherlands from 1971 to 2010. Our analyses show that there is no evidence for a widening educational gap. In the case of political interest, the gap between educational groups has even narrowed significantly. aSee Todosijevic et al (2010) (http://dpes.nl/pages/nko_geintegreerde_file_1970.php).